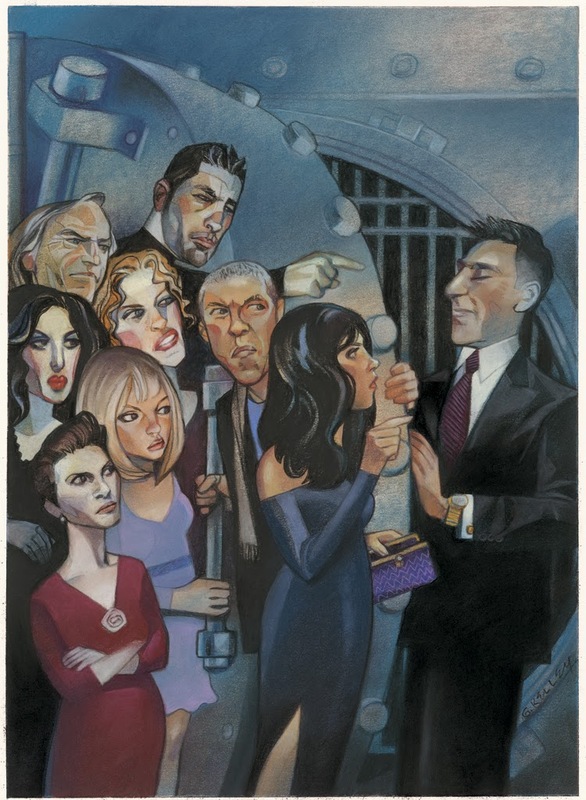 Vanity Fair France hired Gary Kelley to illustrate this piece based on an article about a young banker named Frederic Levesque. The banker conned celebrities into making financial investments. He would then lend the money he received to another group of celebrities. There were, however, no official documents ever signed. Check out more of Gary's work here! Also see what's up in the world of Vanity Fair France, Ici!